The Parts Center at LaGrange Toyota has an immense inventory of Genuine Toyota Parts for all the shade-tree mechanics who work on their own Toyota vehicles. Your Toyota and its original parts went through rigorous testing before rolling off the assembly line, and Genuine Toyota Parts are no different. They were designed and manufactured to the same high standards to ensure a perfect fit and maximum performance. We have what you need to get the job done. Repair your Corolla’s air-conditioning with Genuine Toyota compressors, antifreeze/coolant, air filters, and cabin air filters. We have Genuine Toyota oil filters and genuine or synthetic motor oil for changing your Tundra’s oil. Make sure your Venza’s engine gets a reliable crank every time with TrueStart™ and True2™ batteries, battery cleaner, or Genuine Toyota starters and alternators. Touch up your Camry’s exterior and interior with a variety of Genuine Toyota products to take care of stains and keep your vehicle looking pristine ‐ including cleaner and polish, bug and tar remover, vinyl and leather protection, tire shine, wheel cleaner, and more. 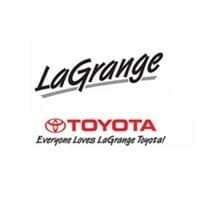 The LaGrange Toyota Parts Specialists are here to assist you with whatever part you need. You can inquire about a specific part here on the website, call us at (706) 222-1029, or visit us at 1221 Lafayette Parkway, LaGrange, GA, 30241. On the rare occasion, the part you need might not be in stock, we are happy to order it for you!